Research and development is the key for an efficient and sustainable breeding program. This is the basis of a profitable egg chain from breeding company to the egg producer through distributors. Hendrix Genetics Layers' R&D department is developing the best products that fit each market by optimizing all parameters which bring additional genetic improvement. 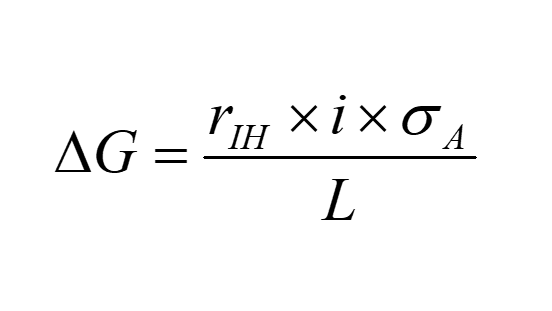 This appears to be complex, but the formula can be broken down into a few basic elements. The more data collected, the better resulting accuracy will be. Measured traits need to reflect the final breeding goal such as egg weight or breaking strength. When the real traits can’t be measured, a highly correlated trait is monitored. To ensure high accuracy, traits must be measured in real circumstances. This is why most breeding companies use pure line data (collected in pure line farms with ideal circumstances) but also data from field test farms (progeny tests). To increase accuracy in measuring phenotypes (traits that are observable), new tools are constantly being developed. 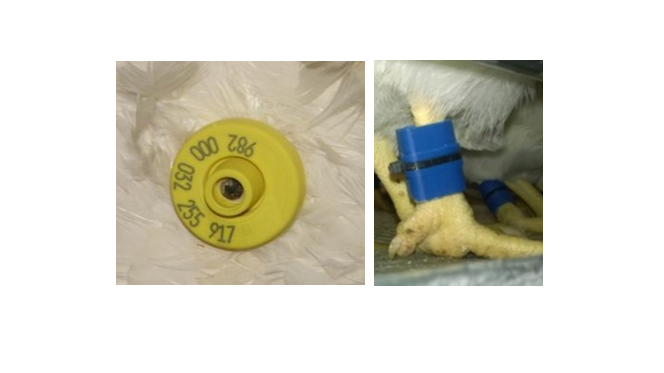 RFID tags and automatic nests are some examples of high throughput phenotyping. Such tools will bring additional information on oviposition time, time spent in the nest, and number of visits. Automatic feed stations are also a new development with which a huge amount of data can be collected, including eating time, number of visits, and pecking strength. 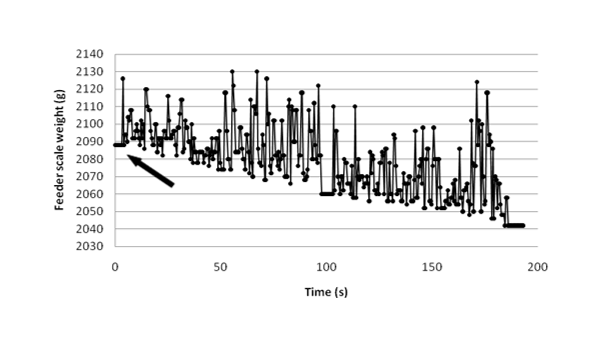 The output of a feed station is shown the graph below. 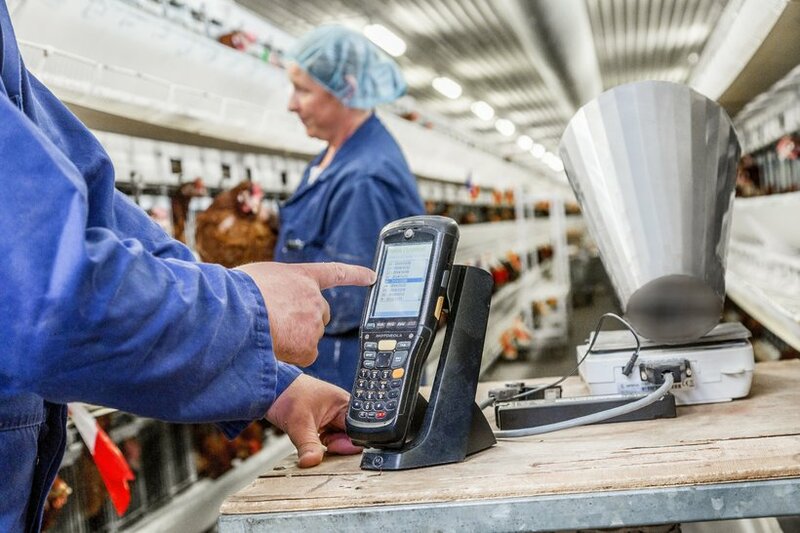 Tools that can increase the number of egg quality measurements are also under development, including an egg robot, nicknamed the "Eggxaminator". 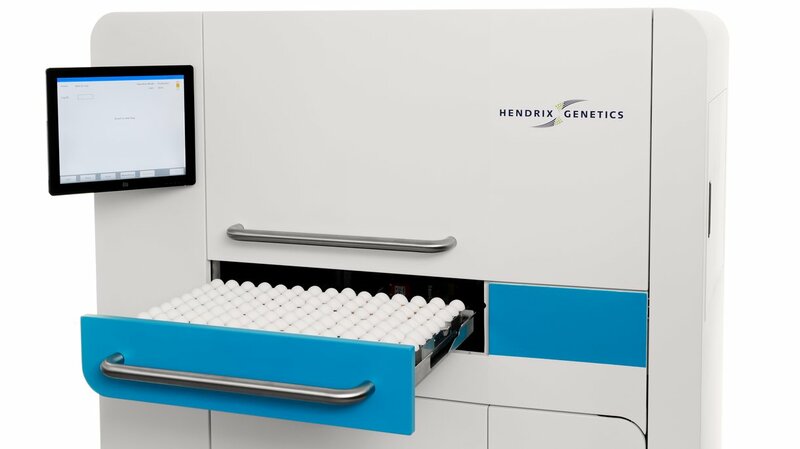 This egg robot is a custom development for the Hendrix Genetics Layer department, capable of automatically measuring egg quality traits with a high degree of consistency and accuracy. 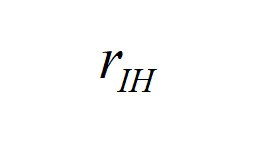 This is directly linked to the number of progeny per dam and sire. It is not exactly the selected portion, but it is linked. 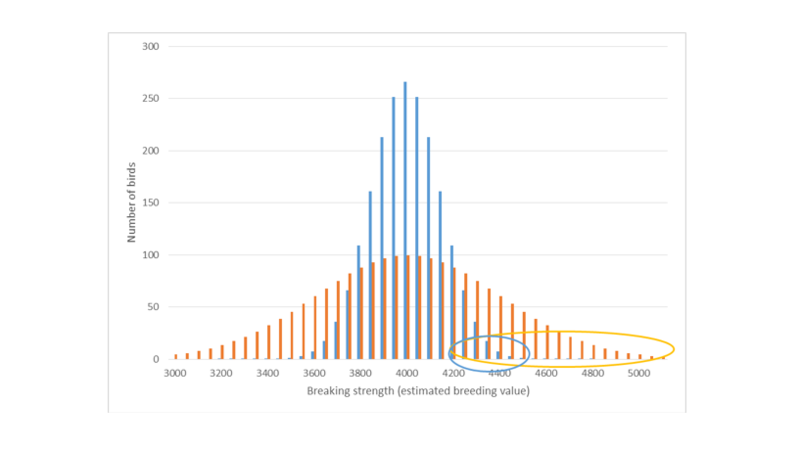 If the breeding goal is to increase egg breaking strength, selecting 20 birds in a group of 2000 will be more efficient than selecting 200 birds. Indeed, the top 20 birds have an average value of 4900g (yellow line) when the top 200 birds have an average value of 4700g (red line). 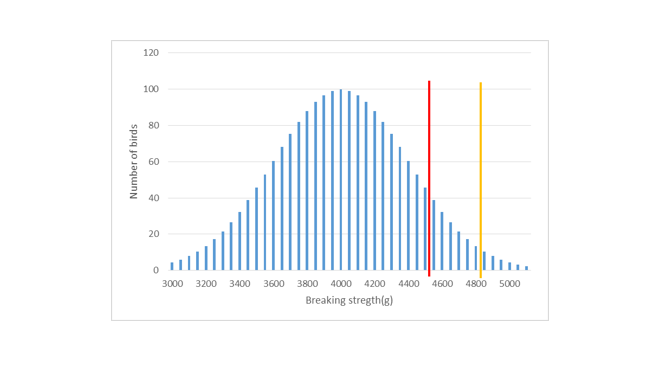 The below graph shows breaking strength distribution within a population of 2000 birds. In a population with large variability, there are more chances to find birds on either end of the spectrum that match the breeding goal than a population with low variability. On the graph below, blue and orange populations have the same size but the genetic standard deviation of the blue one is smaller than the orange one. There are more extreme birds in the orange population than in the blue one. Genetic improvement is expressed only after selection and renewal and is expressed by time unit. All things being equal, the genetic improvement doubles with a renewal every 6 months than a yearly renewal. Having an efficient breeding program is the ultimate goal for the research and development team. The formula for genetic improvement is not new, but we continue to invest in new tools to enhance overall quality and accuracy of each variable. These efforts will mean continual improvement in the products we deliver to egg producers all over the world.